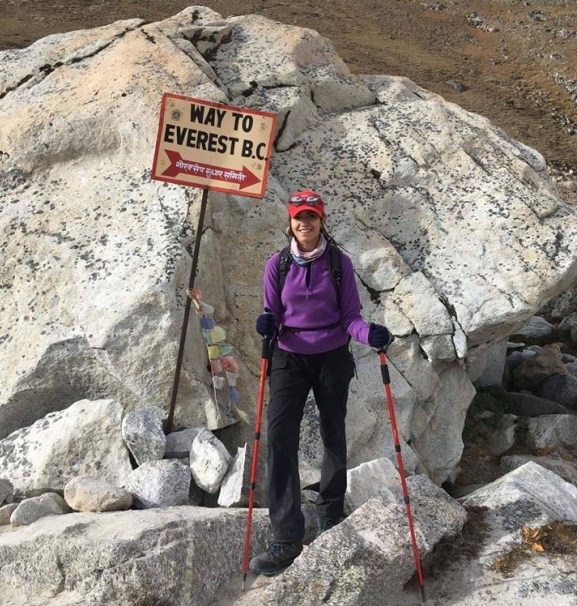 Aboriginal teen Sarafina Elliott has climbed to Mount Everest base camp and left a little piece of her heritage. 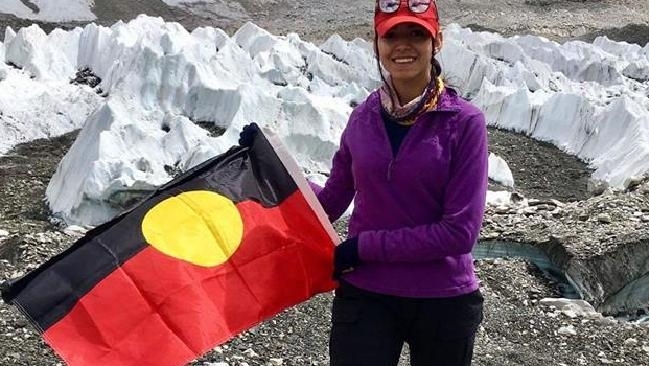 The 16-year-old Yawuru/Ngarluma girl planted the Aboriginal flag on the world’s tallest mountain to honour her culture. “I thought everyone knows Australians go there and I don’t think the Aboriginal flag has been up there,” she told NITV News. 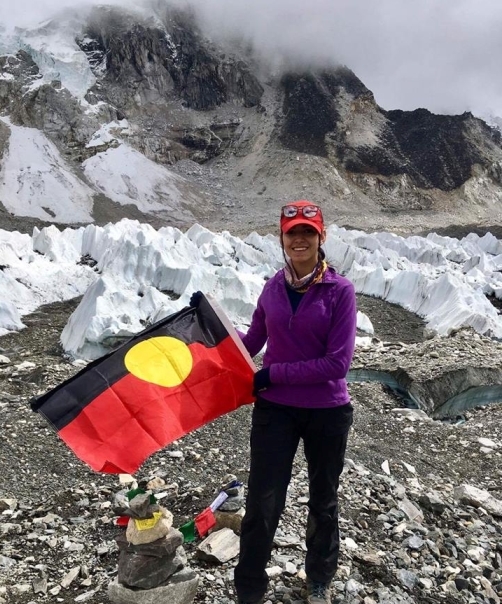 “I don’t know how many Aboriginal people had been up there before, so I thought it was important that she take an Aboriginal flag and take some pictures and maybe inspire some other Aboriginal people or young women to do the same sort of trek,” Mr Elliott told NITV News. The pair, who’ve just returned to Australia following their Nepalese adventure, spent a year planning for the 60km climb. Sarafina, who has just started year 12, said reaching base camp was surreal. 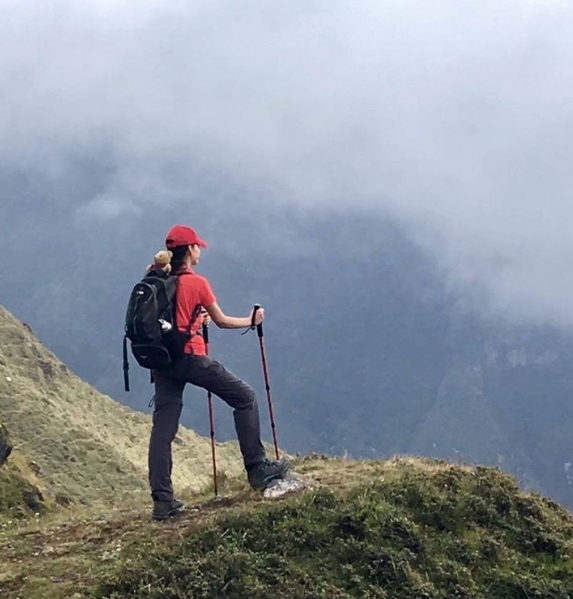 “It was like walking on top of a rocky iceberg and there was just snow on the floor and rocks everywhere and flags everywhere,” she said. Sarafina’s mother, June ‘Moonie’ Djiagween, said she raised her daughter to be proud of her indigenous heritage. Ms Djiagween said her daughter wanted to “represent our people” by planting the Aboriginal flag on Everest. “People get confused that it’s the land rights’ flag, but it’s not the land rights flag, people like to fly that flag to say ‘we are Aboriginal people,” she said. Responses to "Aboriginal teen plants the Aboriginal flag on the world’s tallest mountain "